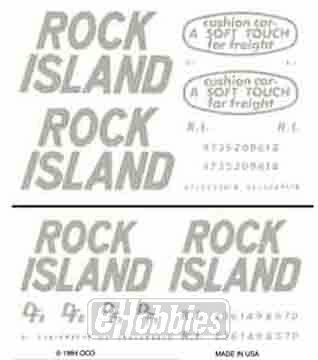 ROCK ISLAND Features: * Limited edition - one time run of these roadnumbers * Completely new car from rails to roof! * Thousands of cars built in this style 1947 to 1949 * Used in all types of general freight service into the 1980s * Based on early postwar production cars with: * Correct car ends (no rectangles) * Correct roof with flat end panels * 6' Superior doors * 2 different car numbers for each each roadname * Correct 33" turned-metal wheelsets * Proto MAX(TM) metal knuckle couplers WARNING: CHOKING HAZARD - SMALL PARTS! NOT INTENDED FOR CHILDREN UNDER 3. ROCK ISLAND A must-have freight car for HO layouts from the early 1970s to the 2010s, these WalthersMainline models are based on 70-ton boxcars constructed in 1972 by Evans Products subsidiary U.S. Railway Equipment. The prototype cars feature 10' doors for easy loading by forklift, and the highest roof allowable to maximize cubic capacity under the Plate C clearance diagram. These features made them an ideal choice for high-value shipments of manufactured goods and paper rolls. Nicely detailed, fully assembled and affordably priced to make it easy to expand your fleet, features of these WalthersMainline 50' Evans Boxcars include: Limited edition - one time run of these roadnumbers Retooled with thinner stirrups & added door gussets In service early 1970s to 2010+ Perfect for handling all types of general freight Correct 33" turned-metal wheelsets Proto MAX(TM) metal knuckle couplers WARNING: CHOKING HAZARD - SMALL PARTS! NOT INTENDED FOR CHILDREN UNDER 3. 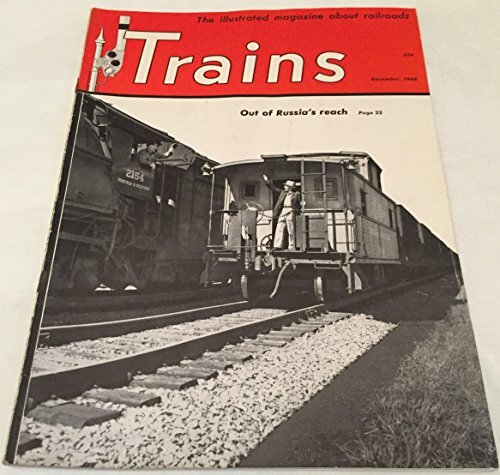 December 1948 issue of Trains magazine. With articles on the Canadian Pacific in New England (with map), Raymond Loewy, railroads in Germany's Western Zone, Christmas Eve on the Broadway Limited, Fairbanks-Morse's new Consolidation Line diesels, Henry Farnam and the Rock Island (with maps) , plus monthly features such as book reviews and letters to the editors. Illustrated on almost every with great black and white photos. Packed with vintage ads. 66 pages. This 40' standard box car with single door and no roofwalk is green with white lettering and runs on Bettendorf trucks. 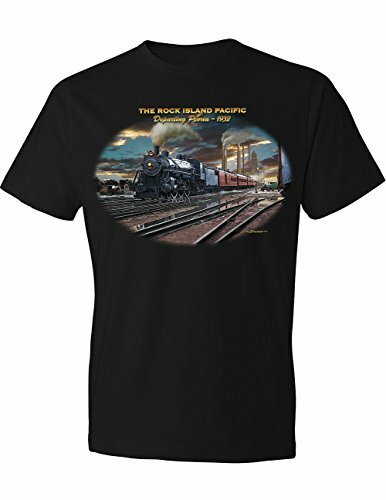 These were of the 150 leased by the Rock Island in the series 47300-47499. They were built in the 1940s and then rebuilt in the 1960s to remove roofwalks and include upgraded DF2 loaders. 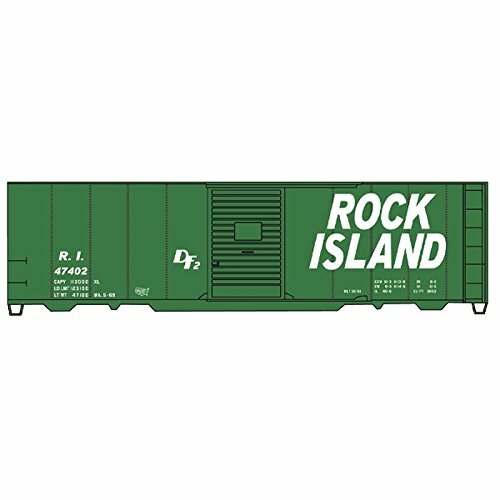 Looking for more Rock Island Boxcar similar ideas? Try to explore these searches: Melissa And Doug Wooden Puzzles, Black Cotton Crop, and Di Passive Direct Box.